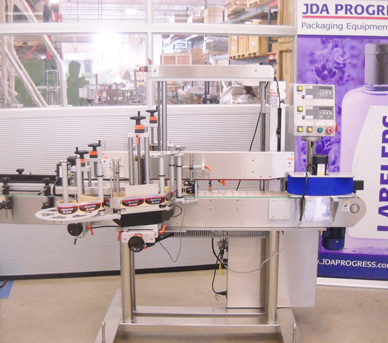 Designed for double sides product labeling, especially for flat bottles. A single machine operated by one operator. Also provides a user-friendly control system. - Labeling Speed: To 60 pcs./min. - Power Consumption 5 Amp.